By now you may have heard about the magic that is banana ice cream. But in case you’ve been leading a sweet-less existence, I beg you to grab some frozen bananas and get to dairy-free ice-creaming. Seriously, right now! I can’t remember the first time I heard about this simple, glorious combination, but I’ve been hooked ever since. and tastes just as good as banana soft serve? As a self-proclaimed ice-cream junkie, I can proclaim that banana ice cream is no joke. Whoever invented this dreamy concoction, I send you love, hugs and happy dances with every sweet and creamy bite. 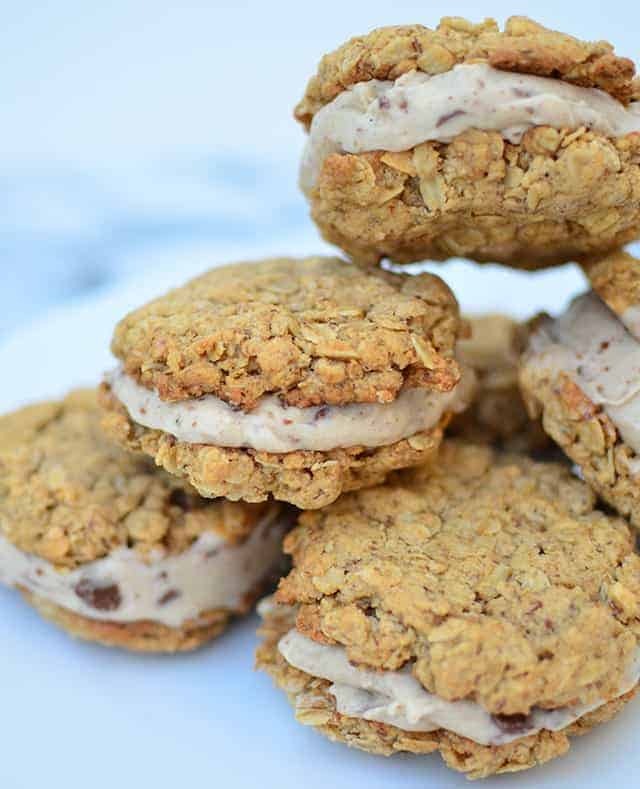 Plus, since it’s summer, ice cream sandwiches have to be on the menu. I’ve always loved the flavor combination of chocolate, peanut butter and banana so a few weeks ago, after a sudden craving for peanut butter cookies, this little cutie was born. 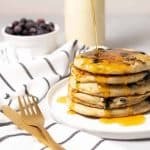 You’ll need to use frozen solid bananas for this. I always have a bag, er or ten, in my freezer for recovery smoothies, pudding thickeners, or green drinks. To freeze, peel your bananas and chop into chunks- I usually chop my bananas in 4-5 thick slices. This helps when you go to puree them, the machine doesn’t have to break down large ice-like chunks. Place into freezer safe bags, remove as much air as possible and freeze. So, peanut butter cookies, pureed frozen banana ice cream- do we have any questions? 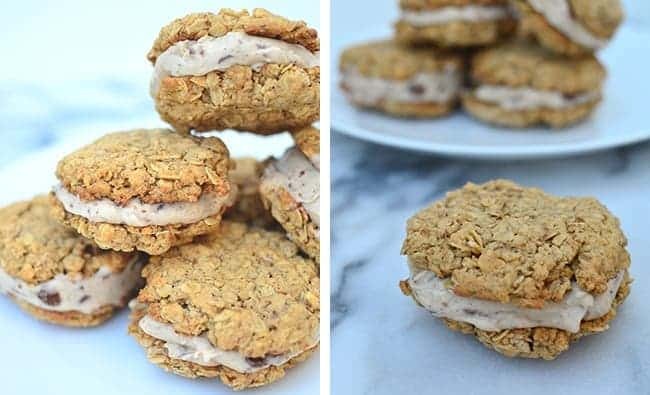 Healthy ice cream sandwiches! 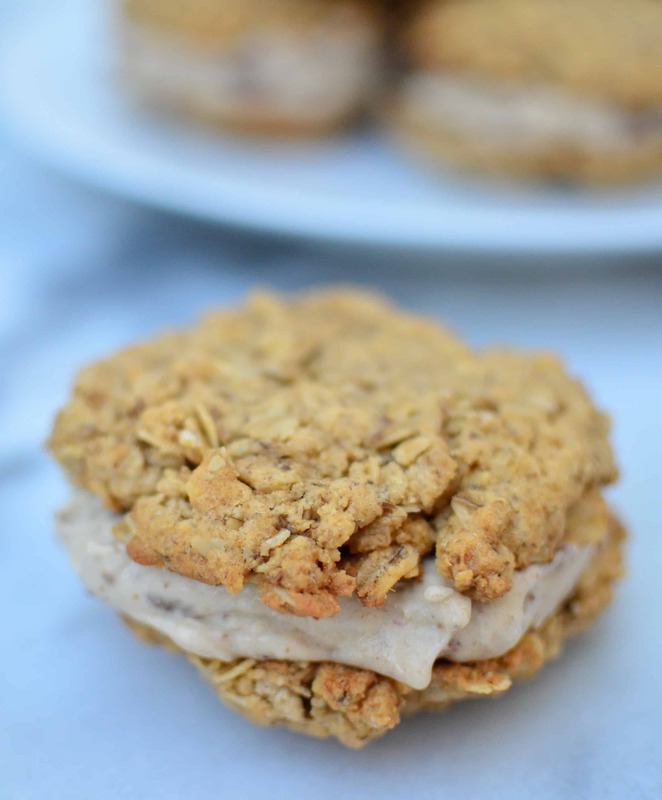 Peanut butter cookies stuffed with 1-ingredient banana ice cream! Place the bananas into a food processor and puree until smooth, scraping down the sides as you go. When the mixture is almost smooth and creamy- add in the chocolate chips and pulse 4-5 times until mixed. 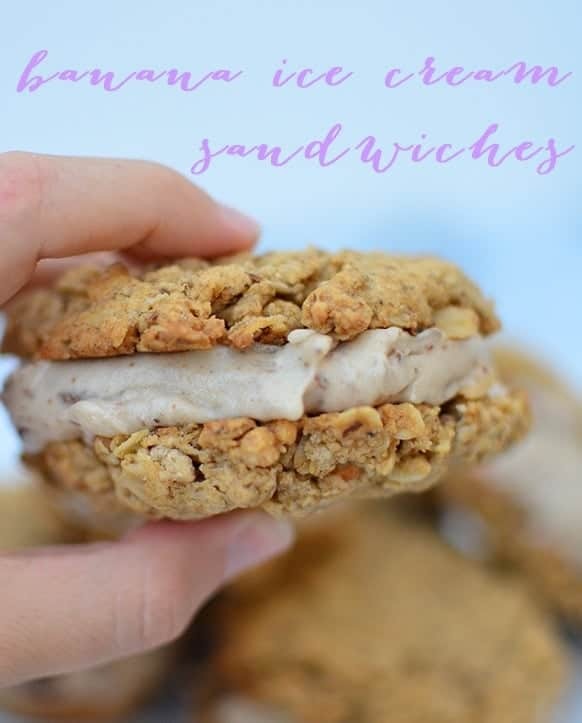 Spoon the banana ice cream onto 1 cookie, top with another and place on a baking sheet. Continue for the rest of the sandwiches. Place the baking sheet in the freezer until ice cream is firm. Enjoy as is or wrap and enjoy for later! Mmmm… I love banana ice cream. Like the idea of turning it into the ice cream sandwiches. Do you need to let it sit out for a bit to not be too hard, or are they fine right out of the freezer? Hi Debra- I ate them right out of the freezer the first day but I would recommend letting them sit for 10 minutes or so for additional days after that! great healthy ice cream sandwich! 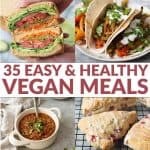 Then you need to make these! 🙂 They freeze pretty well so make a few extra to store when cravings strike again! That sounds delicious! I’ve really been getting into the banana soft serve- will have to try your version next! ummm WANT! That sounds incredible!